Prevalence shift: The new diagnostic criteria for autism will drop the high prevalence of autism in South Korea from 2.64 to 2.2 percent. Most of the children who would lose their autism diagnosis under the diagnostic criteria released last year will fall under the new category of social (pragmatic) communication disorder (SCD), reports a large study of Korean children. The study was published last week in the American Academy of Child and Adolescent Psychiatry1. SCD is a condition that includes severe social and communication deficits but lacks the repetitive behaviors and restricted interests seen in autism. It is unclear exactly how the newest version of the Diagnostic and Statistical Manual of Mental Disorders (DSM-5), released amid controversy in May last year, will affect people with autism, despite a plethora of studies addressing the issue. On 22 January, researchers at the U.S. Centers for Disease Control and Prevention (CDC) reported that as many as 20 percent of people found to be on the autism spectrum using previous criteria would lose this designation with the DSM-5. In contrast, the Korean study — which the journal rushed into publication the following day — suggests that only 8 percent of children would show a change in diagnosis under the DSM-5. More than three-quarters of these children had a diagnosis of pervasive developmental disorder-not otherwise specific (PDD-NOS), the mildest and arguably least clearly defined autism diagnosis in the DSM-IV. Unlike the CDC study, these findings rely on careful clinical review of each child’s records and consider several diagnostic categories in both editions of the DSM, says lead researcher Young Shin Kim, associate professor at the Yale Child Study Center in New Haven. “We got rid of every possible variance, which might bring in differences in the diagnosis,” she says. 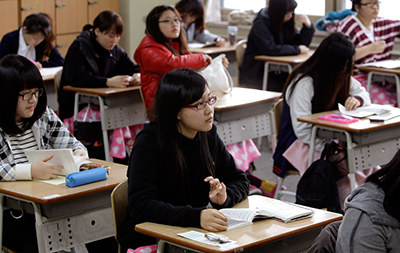 The Korean study found that 270 of 292 children in the study earn the same diagnosis with the DSM-IV and the DSM-5. 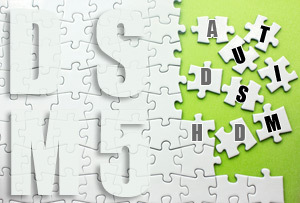 Of the 22 children who lose their autism diagnosis with the DSM-5, 17 meet the criteria for SCD. The remaining five fall under a diagnosis of either anxiety disorders or attention deficit hyperactivity disorder (ADHD), suggesting that no child would be left without any diagnosis. “It shows that when adequate clinical data are available and good clinicians are reviewing the diagnoses, there are a much smaller number of kids ‘lost’ to [autism] diagnoses than one might have expected from the CDC sites,” says Catherine Lord, director of the Institute for Brain Development at NewYork-Presbyterian Hospital in New York City, who was not involved in the study. Lord was a member of the DSM-5 committee that revised the autism criteria.“I think it does come back to the care with which the diagnosis is done,” she says. The study also highlights the importance of understanding social communication disorder, which many researchers feel is too understudied to be an official diagnosis. The new study reexamined the clinical records collected as part of a 2011 study of population-wide prevalence in South Korea2. The original study screened for autism nearly half of all 55,266 children aged 7 to 12 years in one community. Of the 1,214 children who screened positive, 292 participated in detailed in-person clinical assessments, including the Autism Diagnostic Observation Schedule and the Autism Diagnostic Interview-Revised. The researchers found an autism prevalence of 2.64 percent, which is more than double that reported by the CDC for the U.S. This increase may be because the Korean study looked at a representative sample of the whole population, whereas the CDC and others rely primarily on clinical or special education databases. In the new study, clinicians examined the original 292 records anew, assigning a diagnosis of autism based on both the DSM-IV and the DSM-5. They found a new prevalence of autism of 2.2 percent using the DSM-5. One of the most controversial changes in the new guidelines is the consolidation of three autism spectrum diagnoses in the DSM-IV — autistic disorder, Asperger syndrome and pervasive developmental disorder-not otherwise specified (PDD-NOS) — into a single label of autism spectrum disorder in the DSM-5. While the guidelines were still being debated, there was widespread concern that individuals with Asperger syndrome would lose their autism diagnosis. But for many, the final version of the DSM-5 allayed fears that children with an existing diagnosis of autism would no longer qualify for services. The findings of the Korean study should further reassure people that this is unlikely to happen, says Kim: Only 5 children diagnosed with either autistic disorder or Asperger syndrome under the DSM-IV lost that diagnosis with the DSM-5. Four of those children meet the criteria for SCD and the fifth for ADHD. Nearly 30 percent of children who had a diagnosis of PDD-NOS with the DSM-IV no longer merit an autism diagnosis with the DSM-5, the study found. Of these 17 children, the researchers diagnosed 13 with SCD. “I think this study comes down quite firmly on the idea that [SCD] is a term that captures a bunch of people that previously would have been PDD-NOS,” says Mandy. However, the researchers did not have information on the children’s language skills during their preschool years, notes Helen Tager-Flusberg, director of research on autism and developmental disorders at Boston University, who was not involved in the study. This would have made it difficult for the clinicians to distinguish SCD from other language disorders, such as specific language impairment, she says. The DSM’s response to the explosion of autism cases in the US is to split the deck by adding a newly created category of SDC. So, using the deck of cards analogy, instead of 52 autism cards there’ll be 35 autism cards in one pile and 17 SDC cards in the other. So presto,change-o no crisis afterall. These SCD cases will just be subtracted from the larger autism group. Still 52 cards. No real net change here. Good card trick though. Rather than working in the interest of the children, the DSM seems to be responding in a superficial way to an escalating public health crisis because health leaders either can’t or won’t address the autism crisis. Monitoring is not good enough. My question is “who is going to pay to reevaluate all these kids? Parents sure shouldn’t be expected to pay for it and more importantly what will happen to kids who lose their original dx? oh, and Dr. Lord, those kids who no longer meet the new criteria will truely be “lost” children. At age 3, a neurologist diagnosed Ben with Semantic-Pragmatic Disorder. He said he was not autistic. It was the school that used a label of “educational autism”. The label did allow him to receive 6 years (ages 3-9) of speech therapy, occupational therapy, and special education. SCD is still a pretty severe language disorder. As long as kids don’t lose access to speech and OT services, I don’t have a problem with a new “old” label. It would be a shame if schools used it to deny services in the times of tight budgets.